This review will help you know the similarities and differences among Neato Botvac series. Include Neato Botvac Connected,Botvac D3 ,Botvac D5 and Botvac D80. Neato Botvac series is the latest generation of Neato robots with the newest technology and have good views on the market. Neato Botvac series have great improvements than XV series. They use LaserSmart Navigation and Mapping technology to scan and map the room with high performance instead of a random path and provide the most efficient course to finish cleaning job in a short time. 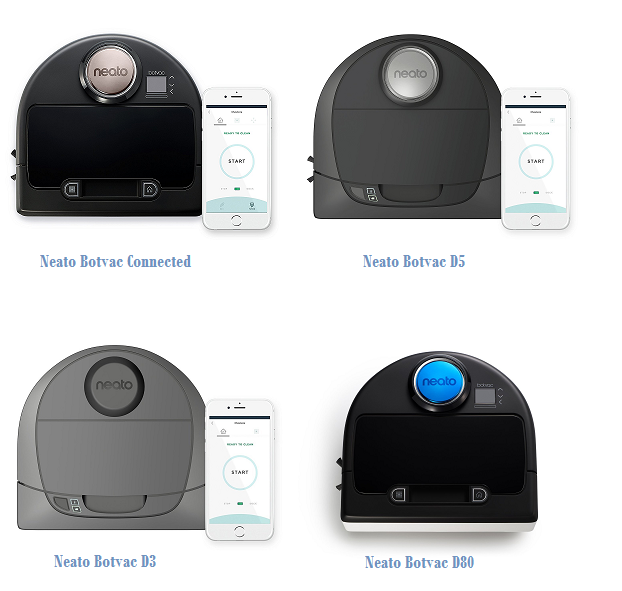 Compare with Neato XV series, Neato Botvac series have larger brushes, side brush, larger dirt bin, high-performance filters, Lithium-Ion batteries and WiFi connected feature. Those designs help to amplify suction and improve 50 percent on remove dirt, dust and hair. Neato Botvac Connected, Botvac D3 , Botvac D5 and Botvac D80 have very similar features and appearance and requires less maintenance than the previous series. We look at features, pros, and cons and give a comparison and brief conclusion. Area Cleaned in 1 Cycle Up to 5000 sq.ft. Up to 4500 sq.ft. Up to 1800 sq.ft. Up to 3000 sq.ft. Wi-Fi® Connected: Only Botvac Connected, D3 and D5 support Wi-Fi and controlled by smartphone. Remote Control: Only Botvac Connected, D3, and D5 use App to provide remote control and D80 haven’t provided the feature. 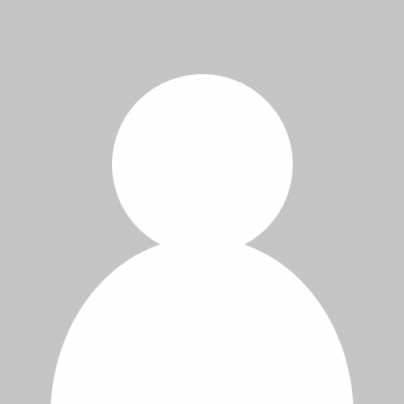 Alexa Compatible: Only Botvac Connected can use Amazon Alexa and the Google Assistant to start, stop the robot. Turbo and Eco: Only Botvac Connected have two models. Eco model will be a quieter and longer. Turbo model will be powerful. Control Panel: Only Botvac Connected and D80 have LCD screen on the control panel. Botvac D3 and D5 only have single button without screen. 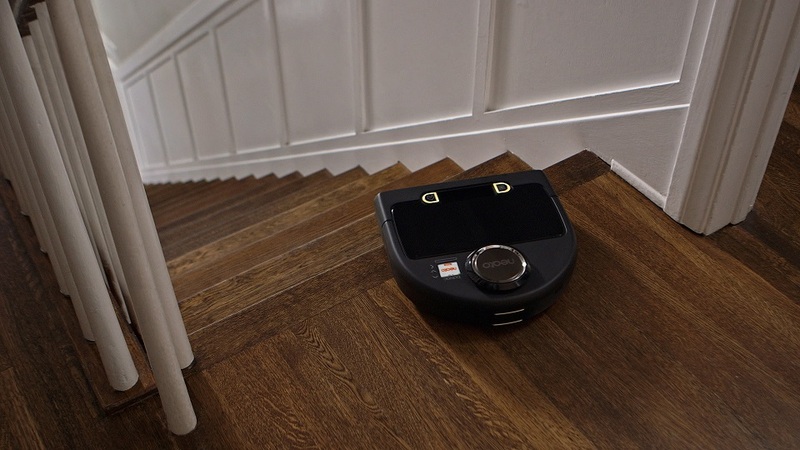 Botvac Connected, Botvac D5, and Botvac D3 and Botvac D80 use the same design and core technology, so they have very similar features and much cheaper than Roomba 900. All of they can automate to recharge themselves but can’t resume their cleaning job. All Botvac series have D-Shape and have better performance on wall edges and corners. Advance on Scheduling: You can set a schedule to run weekly or daily as needed. Botvac Connected, Botvac D5, and Botvac D3 and Botvac D80 have a similar appearance. All Botvac series have a D-shape with a rounded back and squared-off front can go under furniture and work well on conrer and edges. Botvac Connected and Botvac D80 have LCD screen and touch control button on control panel. The screen will display status such as scheduled time or battery level and so on. Botvac D3 and Botvac D5 don’t have a screen and use Neato App to control the device. And Botva D3 haven’t side brush. Neato Botvac series is very easy to use. Just press the [wake up] button to wake up it and start a cleaning cycle. When the battery gets low before finishing the job, They will return to Charge BASE to recharge and resume to work until it finishes. To keep Neato Botvac Connected running at good performance, we need to regular to care the product. Such as empty the bin, clean the filter and clean the extractors when you found Neato picking up less debris. Choose Neato Genuine products from Authorized Resellers is the only way to protect your warranty. 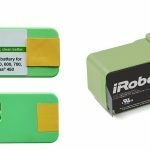 And unauthorized parts such as batteries, filter, and brushes may have a negative impact on product performance even damage your robot. Neato Botvac series have a nearly same “D-sharp” design on appearance and using a pseudo-random vacuuming pattern to finish cleaning job. 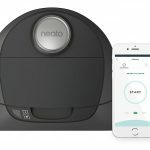 Neato Botvac Connected is the top line among Neato Botvac series and offers a entire clean to home. If your home have many carpets, you can choose Roomba 980 that contains “Boost Carpet ” feature but will cost more $200. If you don’t mind remote control wit a smartphone, you can choose Botva D80 which have competition on price. All of them are easy to use and maintenance. All of them can recharge and resume the job. Botvac D80 have competition on price. Botva D3 connected don’t have a side brush while Botvac Connected, Botvac D5 and Botvac D80 have. Botva D80 doesn’t support wifi and don’t have remote control feature. Botvac Connected, Botvac D5, and Botvac D3 have. Botvac Connected and Botvac D5 contains ultra high perormacne filters and improve 50 percent on clear dirty. Botvac Connected have Echo model and Turbo model.Botvac D3 ,Botvac D5 and Botvac D80 haven’t. Botvac Connected compatible with Alexa.Botvac D3 ,Botvac D5 and Botvac D80 haven’t. Copyright 2017 vacuumportal.com All Rights Reserved.